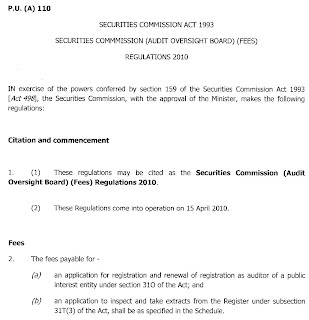 This is an amendment to the Securities Commission Act 1993, for the Audit Oversight Board. It comes into operation on the 15 of April 2010. 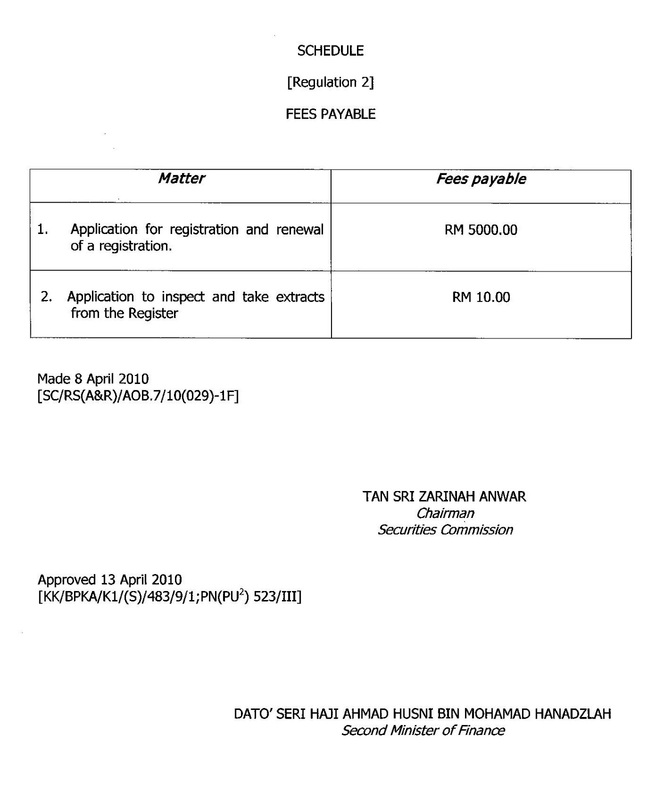 Tan Sri Zarinah signs it on the 8 of April, and the Second Finance Minister approves it on the 13 of April. 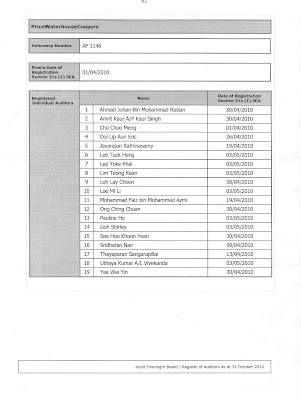 This is the registration for Price Waterhouse Coopers under the AOB on the 1st of April. 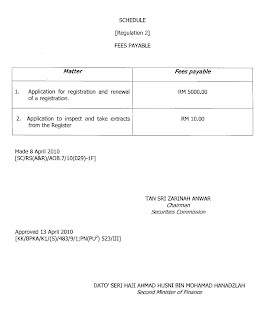 This is indefensible, mustahil for this firm to be registered on the 1st padahal amendment berkuatkuasa on the 15 of April. 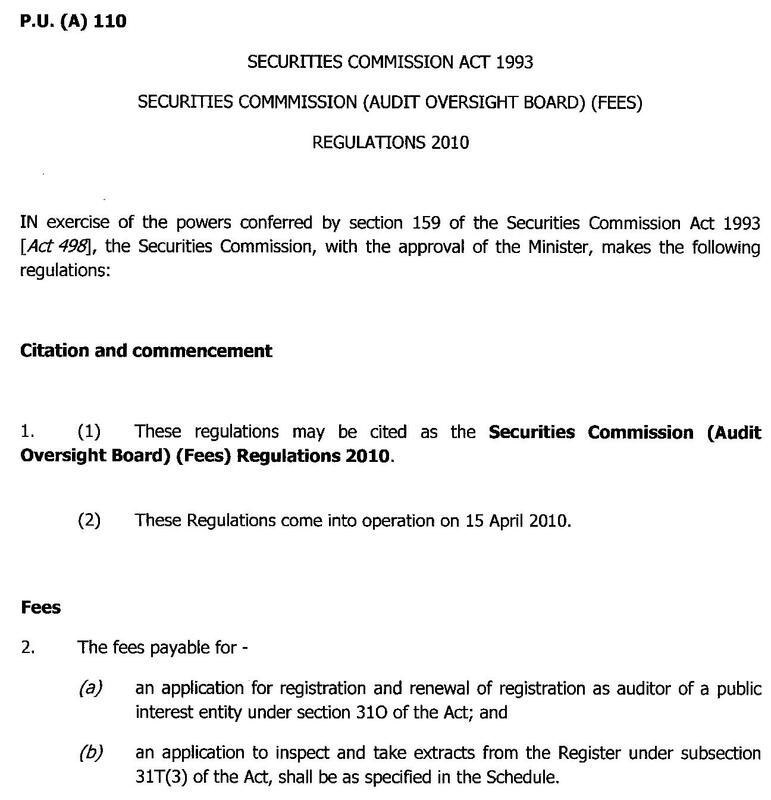 How on earth can you register a auditor and collect the fees on the 1st of April when the law only allows it on the 15 of April? It is a fraud and illegal and we in the SC know it, and we know a lot more and we will share it. We are here to ask that Tan Sri Zarina accepts a paycut of RM100 every month for letting this big wrong decision take place under her watch. We hope Datuk Seri Najib will see that the SC remains an institution that is strong and not open to attack by anyone. 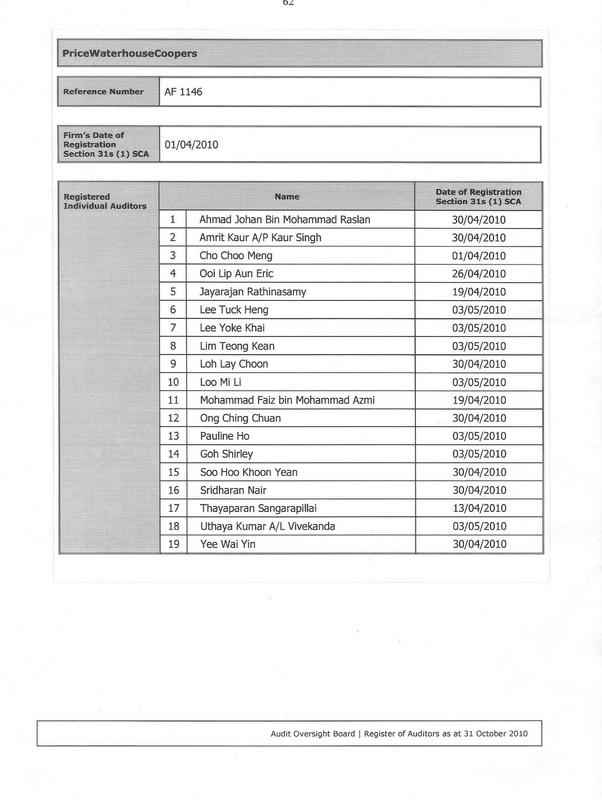 RM100 paycut? Is that all? How about when Najib announced the RM3bn allocation to Karambunai for eco-tourism projects, why the stock was not suspended? Simple thing also cannot do. Wow. Keep up the good job! PWC = power hungry jokers. keep it up, no corporation is bigger than the rakyat.